The long awaited Google Penguin 4.0 Update finally made its way on 23rd September. Google announced the update in its official blog. This comes after a gap of two years when Google announced penguin 2.0 in October 2012. This new version of Penguin is the real-time Penguin update. Penguin 4.0 carries some key differences from the old version of Penguin. 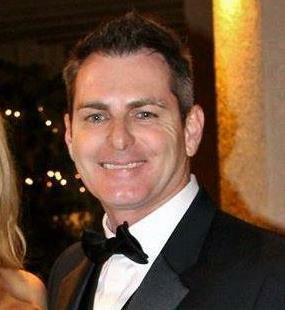 Here is what SEOs and Clients need to know about this new real time Penguin update. The key highlight of Penguin 4.0 is that it will be now a real time algorithm. Which means it is now a part of Google’s core ranking algorithm and Google will be changing and filtering the link records on a regular basis rather than making some periodic refreshes. That seems to be a breather for many of the webmasters and website owners as Google will now revoke penalty and reinstate ranking in a very short period as soon you get spam links removed. With Penguin 4.0, changes will be visible much faster, typically taking effect shortly after Google re-crawls and re-indexes a page. This new update is not restricted to the languages or locations, which means the update will be rolling out to all languages and to all countries. Searchers across the world can see these changes starting to roll out now. In its blog post, Google has said that the update will be more granular in nature, rather a sitewide update. What does that mean? Google didn't give any specific ruling on update's granularity, but what the idea we gathered from the blog post is bit striking. The Penguin 4.0 impact would now be page specific, or section specific or path specific. It's worth noting that Penguin predecessors previously impacted in sitewide penalty. Google says: - Penguin now devalues spam by adjusting ranking based on spam signals, rather than affecting ranking of the whole site. 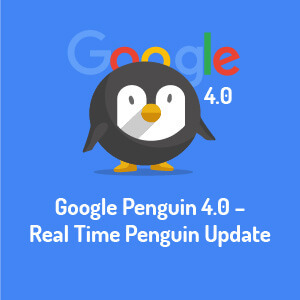 In the blog post, Google also highlighted that being a real time algorithm, Penguin 4.0 will be the last Penguin related update. It means, the updates would be constantly happening with quick changes in affected search queries. It is worth noting no changes have been recommended or made in Google's linking guidelines with this new real-time Penguin. They are still the same and still apply to all sites in the search results. Google put full stop on speculations that with Penguin 4.0 SEOs no longer need to use disavows. They reiterate that Disavowing of bad links is still a viable option. However, Google also suggests that one should remove those links from the websites, rather than just using the disavow tool. How Penguin 4.0 Will Affect? Like any other Penguin update rolled out so far, Penguin 4.0 benefits will be solely depends upon how business owners and SEOs execute their link building techniques. Those who will consider techniques strictly abiding to Google’s guidelines, will be the major beneficiaries of this update. BLACK HAT SEO spammers, please beware as always. How can you best avoid the risk of Penguin? It's simple. Monitor the links you have and audit these on a regular basis. You may have to actively disavow negative links as well that have been affecting your website reputation.